(CNS): Dow Travers carried the flag for the Cayman Islands Friday as the 2014 Winter Olympic Games opened inthe showcase Russian Black Sea resort of Sochi. Travers (26) is competing in the Giant Slalom and the Slalom in the second Winter Olympics of his ski-ing career. The games opened Friday and will last until the 23 February. Travers, who is supported by David Carmichael, the Chef de Mission, and his coach Jake Zamansky, will compete in the Giant Slalom on 19 February and the Slalom on 22 February. Born and raised in Grand Cayman, Travers is the eldest of three talented athletic brothers. 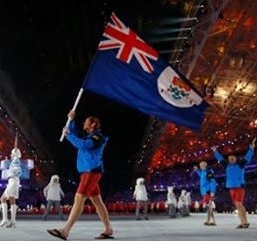 He represented Cayman at the winter Olympics for the first time in 2010, when he made a respectable time in the downhill final to put him in 69th place. With music, dance and plenty of Russian bravado, the games are not only a showcase of the world’s best athletes on ice and snow but it is an effort by the ever-controversial president, Vladimir Putin, to show the post-Soviet Russia to the world. Some 3,000 athletes will compete in 98 events – the biggest ever winter games. The Opening Ceremony will be broadcast on NBC at 7:30pm Friday evening. More information can be found on the official website for the Games. (CIFA): Reigning FA Cup champions Bodden Town remain confident they will pick up a victory in the President’s Cup semi-finals on Sunday. Bodden Town and Sunset face in the opening semi-final at the Annex at 5 pm followed by Elite and George Town. 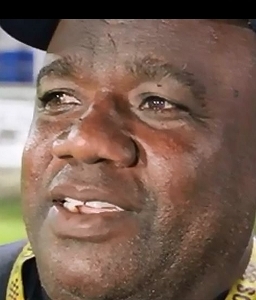 At a training session earlier this week Bodden Town Head Coach Elbert Mclean said securing a finals berth is the main goal. “We are looking for the win to help us advance; our plan is to be in the final. I have a lot of confidence in my guys they will get the job done,” Mclean said. In two previous fixtures this season Bodden Town has had mixed fortunes against Sunset, scoring a victory and settling for a draw. with the top two teams advancing to the final on Wednesday 5, March 2014. 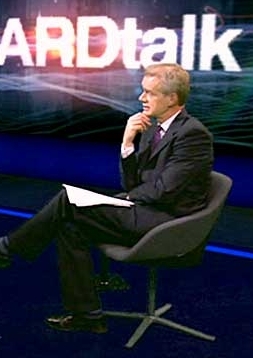 (CNS): The people of Cayman will have their first chance to see the premier go face to face with the BBC's Stephen Sackur on HARDtalk late Monday night. The much anticipated broadcast of the interview with Alden Mclaughlin on the flagship news interview show will air at 11.30pm on Monday 10 February local time and then again at 4:30am, 11:30am and then again at 4:30pm on Tuesday 11 February on BBC World News. Video clips will also be available on line, where a full audio version will be accessible on iPlayer or as a podcast. McLaughlin was said by his staff to have done Cayman proud answering questions about the country's offshore sector and the tax haven label, among other issues. (CNS): A 64-year-old American tourist died on Wednesday afternoonafter getting into difficulty while he was snorkelling with friends off Cemetery Beach, West Bay. A spokesperson from the RCIPS said that Richard Chaput, from Libertyville, Illinois, was snorkelling with two friends while his wife stayed on the beach. At about 2:15pm he seemed to be having some difficulty and he and his friends headed back to shore, but before he reached the beach he apparently lost consciousness. Chaput's friends shouted for help and several people who were on the beachcame into the water to help. He was brought ashore where members of the public and two fire officers from the West Bay station administered CPR until the arrival of the paramedics. Chaput, who was vacationing in the Cayman Islands with his wife and friends, was conveyed by ambulance to the Cayman Islands Hospital in George Town, where he was pronounced dead on arrival. Police enquiries are ongoing but there would appear to be no suspicious circumstances surrounding the death. Mrs Chaput is anxious that the RCIPS should pass on her thanks to the many people who assisted her and her husband on the beach on Wednesday. (CNS): An altercation between two long-standing friends over cash landed a 60-year-old man a probation order on Thursday, after the court heard that Hank Bodden had faced a degree of provocation before he picked up a rock and hurled it at his 75-year-old chum, Austin Scott, cutting his head open. Justice Charles Quin found that the spur of the moment assault, which Bodden had admitted, was not particularly serious with no long term damage to the victim, who had five stiches in his head as a result. With no previous convictions and described as a productive member of society, Bodden was given a twelve month probation order with directions to attend an anger management course and alcohol counselling. The court heard that thetwo men got into a row over unpaid rent at a dominos area near to the Lobster Pot in George Town. After the two men cursed at each other, the victim allegedly told Bodden he was going to cut his throat before getting into his car. It appeared that in frustration Bodden picked up a rock and threw it at Scott; the rock went through the truck window and hit Scott on the head. Doctors testified there was no permanent damage, and although the police had not managed to get a victim impact statement, the defence told the court that they had been informed that the victim himself did not consider the assault serious and it was an unplanned isolated incident. (CNS): A West Bay man began serving a decade behind bars on Thursday after he was sentenced to the mandatory minimum sentence for possessing an unlicensed firearm. Ray Kennedy-Smith Jr (20) was found guilty by Justice Charles Quin in November following a judge alone trail, when he found that the West Bay man did have possession of a loaded nine millimetre Smith & Weston pistol recovered by a USG police officer outside the Memory Lane Bar hidden behind an air-conditioning unit. With no further aggravating features in the case, the judge added no extra time to the statutory minimum, which was handed to Kennedy-Smith as several family members wept openly in court. “There are no factors that would compel me to exceed the minimum sentence,” the judge said as he delivered his verdict. Kennedy-Smith has no previous violence convictions and only ganja and traffic offences on his rap sheet and it seemed that the company that the young man had been keeping was his downfall. He was described by his girlfriend and the mother of his five-month old-baby as a great father who had worked in the watersports sector and was the family’s main breadwinner. He was only 18 years old when he was arrested in connection with the weapon. Although the gun was found hidden by an air conditioning unit, along with a mask and gloves implying the intention of a robbery, there was no evidence before the court that the gun had ever been fired or used in the commission of a crime. Police say Kennedy-Smith was in possession of the weapon as he had been in the area where it was found just minutes before and his DNA was later found on the inside of one of the gloves. (CNS): Education and Employment Minister Tara Rivers declared her recent trip to London with her political colleague Winston Connolly and two senior civil servants as a huge success. According to information supplied by the ministry, the visit to the World Education Forum and various UK meetings cost CI$19,829.81. Flights totalled CI$8,409.65 while hotel accommodations was CI$6,235.33, transport was CI$436.09 and the per diems for the group totalled CI$4,300. The ministry also contributed CI$448.75 to a dinner meeting with CEO’s of Education Trusts. Education ministry Chief Officer Mary Rodrigues and Deputy Chief Officer DrTasha Ebanks Garcia accompanied Rivers and Connolly to the forum, which is the largest gathering of education and skills ministers in the world. The team also hosted a reception for Caymanian students studying in the UK, met with ministers and lords responsible for education and employment in Britain and visited three high performing schools in the London area. In addition, the delegation went to publicly and privately operated job centres working to tackle unemployment. They met with policy advisors of a leading “think tank” to discuss issues related to education and welfare-to-work programmes, as well as the Secretariat of the Low Pay Commission. This is an independent agency established by the UK government in the late 1990’s to advise on the introduction of a national minimum wage. Rivers said she gained valuable information to assist her in the work to improve the Cayman Islands education system and the services provided by the National Workforce Development Agency. “The Education World Forum highlighted the fact that the challenges related to education, the appropriate use of technology as a tool to facilitate learning and skills development in general for the 21st century are global challenges,” said the minister. She said the range of meetings held during and after to the forum on education, employment and labour topics were also very informative and helpful. “The meetings provided an amazing opportunity to amass a tremendous amount of information relevant to the local education and employment initiatives that I have been driving since taking office. We have also made many useful contacts, in both government and non-governmental organisations, on which we will continue to draw,” Rivers added. The ministry said it would release further details about the outcomes of the trip in the coming weeks. (CIFA): When Sunset lines up in the semifinals of the Presidents Cup on Sunday 9 February at the Annex against Bodden Town, their aim will be to continue this season’s resurgence. In its first season since returning to the top flight of the Premier League, Sunset sits fourth in the standings and is one of the four remaining clubs in the semi-finals. Sunset has faced Bodden Town twice this season, both in the Premiership, with a draw and a loss to show. Sunset Head Coach Gareth Thacker backs his team to come away with a result in the first leg of the semifinals on Sunday. “The guys think they can beat anybody on their day. My lads are disciplined but it will come down to whoever creates on the day,” Thacker said. Striker Justin Pierre echoed Thacker’s confidence. The former National marksman shrugged off some sluggish performances the past few years to score seven goals so far this season, four in the Premier League and a memorable hat trick which propelled Sunset to the final four of the President’s Cup. Sunset has outworked and outmuscled their opponents in their return to the Coach Thacker believes the results are reward for thorough preparation and improved fitness. “We have a very good bunch of athletic guys. We are organised, fit and strong. We can compete with all the teams in the Premier League this year. Captain Andy Bellfield thinks Sunset’s camaraderie could not be overlooked when talking about their success. The President’s Cup semifinal first leg fixtures kick off Sunday 9 February at 5pm when Sunset tackles Bodden Town, followed by Elite SC competing against George Town. 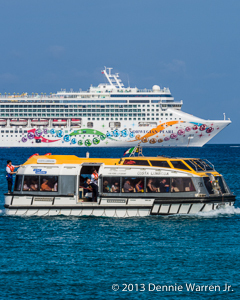 (CNS): The tourism ministry has stated that the pre-procurement bid talks with the cruise lines that will be using the berthing facilities, should the development go ahead, will not prejudice the future request for proposals even if the cruise lines are involved in the bid. A spokesperson from the ministry said all of the information discussed will be disclosed to all parties involved in the prospective bids when the official procurement began. A ministry spokesperson said that the UK Foreign and Commonwealth Office is still working closely with the ministry as it takes steps towards the project to ensure it is in line with the Fiscal Framework for Responsibility. Although the idea of berthing facilities is no longer as popular with the public as it once was (in a recent CNS poll 46% said government should shelve the project indefinitely and focus on overnight tourism and 10% said they should postpone it), the government is determined to press on and recently announced bi-lateral talks with the cruise lines ahead of the EIA and the planned RFP. The ministry has stated that the talks are merely to determine precisely what the cruise lines will require. “All relevant information from the discussions will be shared with users and other stakeholders of the facility and will also be made available to all prospective bidders, so no entity will have an unfair advantage over another,” A spokesperson from the tourism ministry told CNS following enquiries over concerns that the pre-procurement talks could see cruise lines who may be involved in the bid getting a greater insight than other bidders and undermining the true competitive nature of the process. However, the ministry has insisted this is not the case. The ministry said the discussions were to ensure that both the requirements of CIG and the cruise lines as the prime users of the facilities would be met. “The cruise berthing project is a major investment and cannot be undertaken, or financed, without the explicit commitment and involvement of the facility’s users,” officials added. The discussions, they added, aim to ensure the facility will meet the needs, it is able to attract the required private financing and includes appropriate allocation of risks between the various parties involved, but the bilateral talks will not give anyone any advantage. “The ministry is working closely with the UK Foreign and Commonwealth Office to ensure that the process being followed is in compliance with the FFR Regulations and is fair and transparent,” the ministry stated.